An excerpt from the KAMS/IETM publication I co-authored in 2011, see separate entry in this blog, was included in a new publication by the Asia Europe Foundation and launched at EFA’s General Assembly and Conference in Granada, Spain this month. 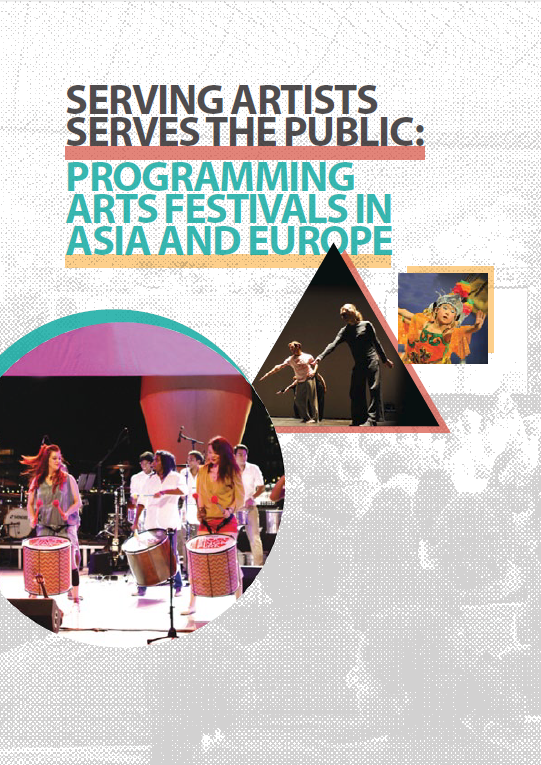 Published by ASEF, the European Festivals Association (EFA), and the LASALLE College of the Arts, Singapore, Serving Artists Serves the Public gathers 13 articles by 15 contributors on the opportunities and challenges of programming arts festivals in Asia and Europe. I intend to continue to work in this field of exchange between Europe and Asia and so am delighted to have my work contributing to projects such as this.